When the Earl of Sandwich first put some meat between two loaves of bread, he created something very special. A whole meal handily between two slices of bread that you can carry around with you, and that developed subsequently into subways, baguettes and paninis. A sandwich is far more than the sum of its parts though, and there have been countless different kinds of sandwiches throughout the decades. But which is the best? Following are the top 10 sandwiches based on taste, healthiness and popularity. Dig in! The peanut butter sandwich is the first of our top 10 sandwiches and an odd one to start with being the only non-savoury entry. Great comfort food though and perfect with a cup of tea. Add jelly for something that feels wrong but tastes oh-so right. Perhaps the most indulgent of the top 10 sandwiches, but sheer genius in its creation. Essentially a whole English fry-up in a sandwich which is just as delicious and as filling and the real thing. Not particularly healthy though – but it makes it on the list for ambition alone. Egg mayonnaise would be healthy if it wasn’t for the mayonnaise. Still though this is the only sandwich in our top 10 sandwiches that offers you all you amino acids in one sitting and it’s very tasty. Often served with water cress. Ham sandwiches are a classic, but when you add cheese to them is when they’re truly delicious. One of the most common of our top 10 sandwiches and one of the quickest to rustle up. It’s classic and it’s easy and it’s rather healthy too being a lean meat with lots of greens. Though like most of the top 10 sandwiches it still comes with a dollop of mayonnaise. This entry in our top ten sandwiches is perfect for when you’re not sure if you’re craving sweet or savoury and for when you want a slight tang to your lunch. Often uses Moroccan style chicken and is a bit less dry tasting than the classic chicken salad hence it’s slightly higher positioning. Chicken curry is also a popular option not on our top 10 sandwiches. A high entry for this one of our top ten sandwiches despite being less common. That’s because it’s both healthy and delicious and more people need to try it. Simply take a slice of salmon and add it to bread spread with Philadelphia cream cheese (or Boursin) and add a squirt of lemon juice. For its fame the BLT – Bacon Lettuce and Tomato – needs to be high in any top 10 sandwiches list. Truly it is an institution and one that manages to feel very indulgent without actually being that unhealthy. But the winner of the top 10 sandwiches list is tuna mayonnaise! 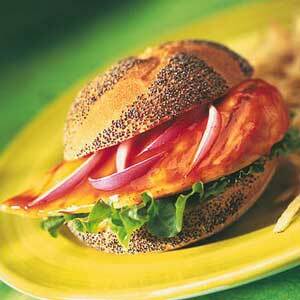 Here is a sandwich that is very healthy with a lean protein source, omega 3 fatty acids and antioxidants. The mayonnaise is a bit unhealthy yes but that’s what makes it delicious and there’s normally some salad thrown in there for good measures. It’s also an absolute classic and one that you can order in any establishment. 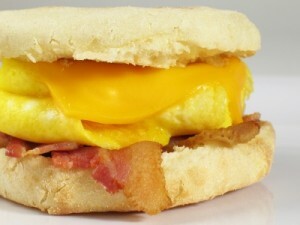 I love a good breakfast sandwich. Load it up with egg, bacon and cheese. I am glad to see it made the top ten list. I think making these at home is even better than going to a fast food place. 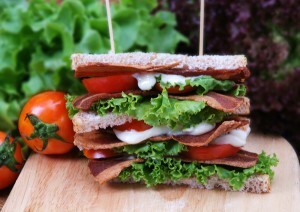 My all time favorite is the BLT. I love to load it up with lots of bacon. Epscecially if it is turkey bacon. I add some mayo to it, and a tomato slice, a few leaves of lettuce and of course an onion. Yes this one deserves to be on the top 10 for sure. Part of my all time favorite made the list. How about a peanut butter and pickle sandwich? Sounds really gross I know. But do not knock it until you try it. Delicious. I think it rates right up there with the ones that made the top ten. I am sorry James. But this sandwich sounds gross. I have to yet try it but I would be more apt to eat it with bananas instead of pickles. I guess I should not knock it though. Woohoo, a post about top 10 sandwiches. Definitely gonna try them out. That sandwich with salmon and cream cheese looks yummy. Tuna Mayonnaise is also a great ingredient. You should have more gastronomical posts. Articles like top 10 sandwiches are welcome for gourmands like me. What a great list for a top ten sandwiches. I love pork and stuffing sandwiches. they are the best with a side of coleslaw. We have these a lot over the holidays after roasting a hog. Pork and stuffing is one of the best top 10 sandwiches. I too like it. But think how much calories it contains. I don’t think it is very healthful. It is one of the top 10 sandwiches which mustn’t be eaten very often. I think that this is a great list of the top ten. It has some thing for everyone on it. I would love to try the sweet chili chicken. It sounds pretty tasty. I love chicken and chili! The entire top 10 sandwiches should contain bacon. I am a huge bacon fan. So my top 10 sandwiches would contain bacon, bacon and bacon. PS: great, now I’m hungry. I’ll go see if I can prepare any of those top 10 sandwiches. These are making me so hungry. I am disappointed though that the grilled cheese did not make it in the list. I say take off the tuna and give grilled cheese the spot it deserves. Grilled cheese is number one! Tuna Mayonnaise is also my favorite sandwich. I would have also put it on first place in top 10 sandwiches. Nothing compares to it. Another great sandwich is chicken salad. Another favorite of mine from your top 10 sandwiches. I am not into sandwiches. However, an article about top 10 sandwiches made me hungry. I don’t like fast foods, which is why I always avoid eating stuff like that. I gotta admit that some items of this top 10 sandwiches made me curious, though. But still, if you want to be healthy, eat healthy food! I love a good chicken salad sandwich. I make them a lot and put them on croissants. Love them. I have even made a sweet version with pineapple. It is to die for. I always have a breakfast sandwich. Obviously, every morning. It’s really not the healthiest of top 10 sandwiches. Not that I would care too much, as I’m quite skinny. But it has a great taste. I love the BLT sandwich. I take it one step further and use bacon mayo on it to give it a double bacon flavor. It is really good that way. And I like the suggestion of adding onions to it. Yum. Call me weird but I wish just a cheese sandwich had been added to the list. I have loved these since I was little. No butter or anything. Just a piece of cheese and two slices of bread. I still love it. What about a good old hoagie sandwich? These are my favorites. I put turkey and ham and two kinds of cheese on mine. Then I toast it. I sometimes cover it with bacon as well. They are awesome. You will have to try them. 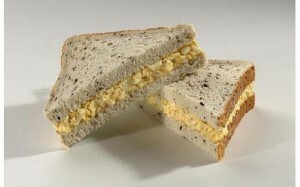 Egg salad on wheat bread that has been toasted is the best. I like to add some salt and fresh pepper as well to give it a kick. I usually eat them a few times a week for my lunch. They pack a great punch of protein and fill me up as well. This should have been on the list. This may sound really gross but I love peanut butter and banana. Or peanut butter and pickle. Peanut butter alone is alright but does not have that pizazz. So I always add to them. These are great ones to try. I am really surprised that the cheeseburger did not make it on here. I would have thought that would have been number one. I love a good cheeseburger . Pile high of course with all the fixings. I do not agree with you Tom. These top 10 sandwiches are much more better than a simple cheeseburger. A cheeseburger is something usual. With these top 10 sandwiches you experience other tastes. Just try any of these and you’ll be convinced. 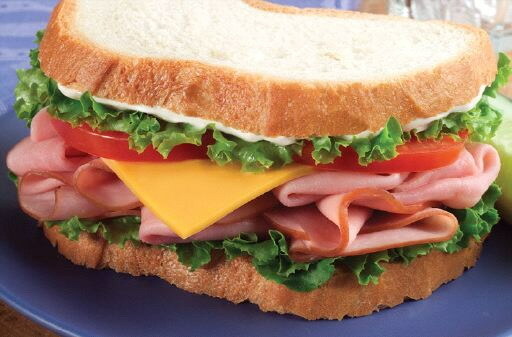 These top 10 sandwiches look so delicious. I fell hungry. I would eat all of them. They all look appetizing. But from all these top 10 sandwiches I would eat the Pork and Stuffing sandwich first. I think all these top 10 sandwiches are delicious. I would eat all of them. I’m not a gourmand, but I could eat all these top 10 sandwiches at once. Or maybe 10 Salmon and Cream Cheese sandwiches. They look the most delicious. From these top 10 sandwiches I would not eat the Sweet Chili Chicken one. I’m not a big fun of chili. However that chicken looks delicious. Maybe without that chili I would try it. This way I will choose this one to be the most delicious top 10 sandwiches. How can you not like chili? The Sweet Chili Chicken is the best from these top 10 sandwiches, but without the chili it wouldn’t be. Chili makes it so good. I agree it is the most delicious from all top 10 sandwiches and you should definitely try it. But I insist to let those chilies there. In my opinion, without trying any of these top 10 sandwiches, the Tuna Mayonnaise looks the most delicious. I would definitely try this one. Tuna is my favorite fish. Moreover, I think tuna and mayonnaise are the best combination. 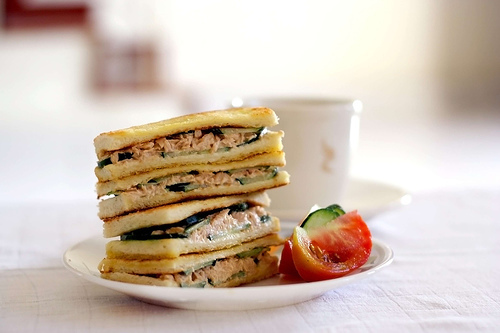 First place in top 10 sandwiches – tuna mayonnaise. 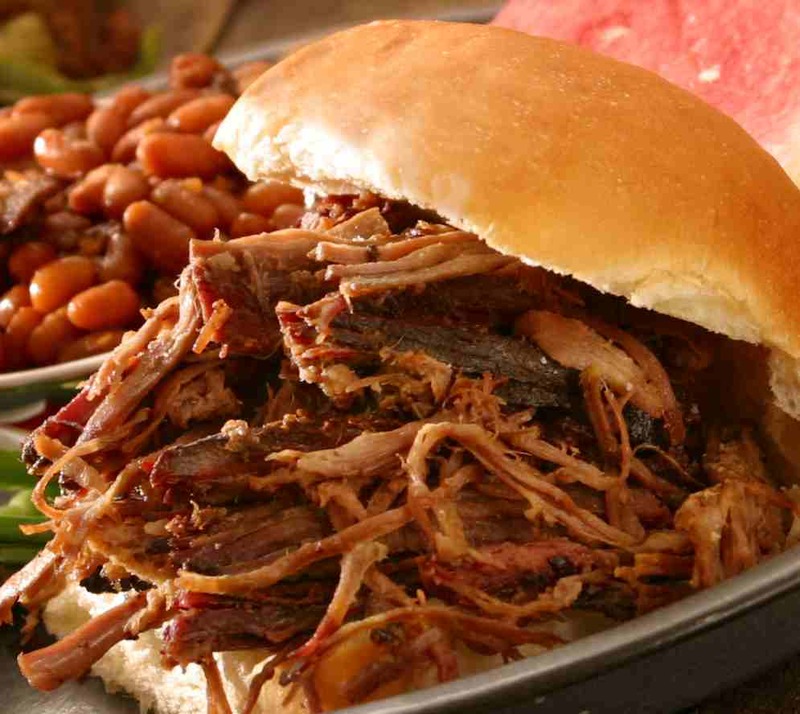 These top 10 sandwiches are definitely the most delicious ones. I’ve tasted almost all of them. They were all very good. But, from my experience, the pork and stuffing is the best from your list of top 10 sandwiches. I recommend it to everybody. Pork and stuffing sound gross to me. How about turkey and stuffing? Those are so good. I would eat them every week if I had to. I love them. 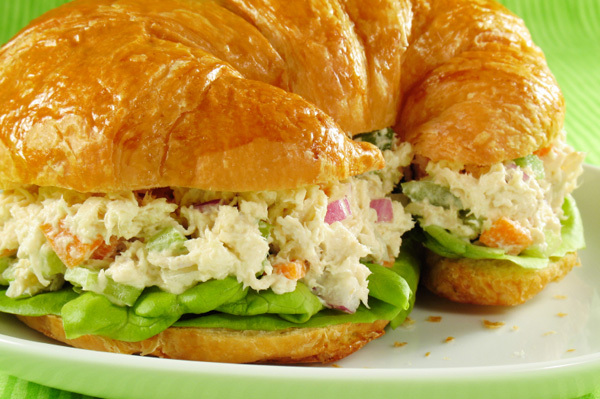 Tuna Mayonnaise deserves its first place among these top 10 sandwiches. It is really good. First time I ate it at a restaurant. Then, I even learned how to prepare it just to make it whenever I want. It is my favorite top 10 sandwiches. Sandwiches are a great meal. I eat one every morning. All these top 10 sandwiches are delicious. They are consistent and they are perfect for breakfast. 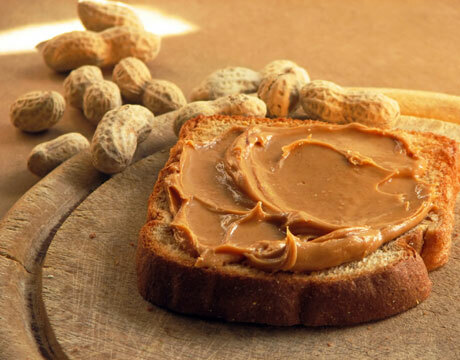 The peanut butter is one of the top 10 sandwiches which is perfect for breakfast. I love peanut butter sandwich in the morning. It is one of the top 10 sandwiches perfect for breakfast. And yes, it is perfect with a cup of tea. And with jelly too of course. It is one of my favorite top 10 sandwiches. Some of these top 10 sandwiches are very good. They look good in the picture and they are good in reality too. I would like to eat a pork and stuffing one. Ooo, it tastes so good. It is definitely my favorite top 10 sandwiches. There are some top 10 sandwiches I don’t think I would like. For example the egg mayonnaise. Why would I like an egg with mayonnaise? Mayonnaise already contains eggs. It is like I would eat egg with egg. 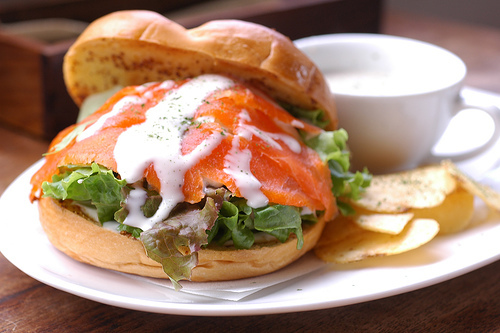 Sincerely, the salmon and cream cheese looks the most delicious from all these top 10 sandwiches. I would love to eat one right now. In my opinion it should be the first one in this top 10 sandwiches. It is much better than Tuna Mayonnaise and BLT. But everyone has different tastes.